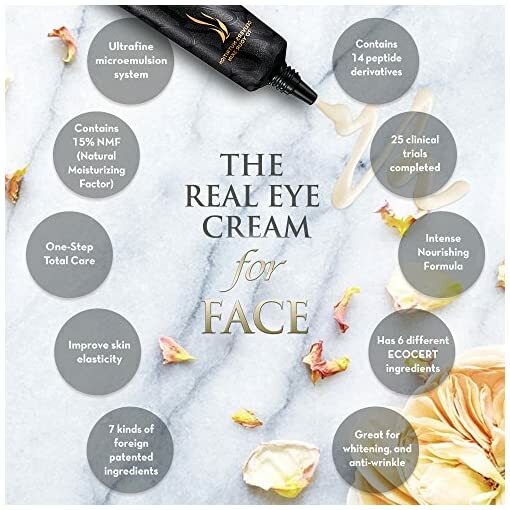 EYE CREAM FOR FACE – WHAT? No this isn’t just another crazy “Asian English” mistake. This premium product is named this way because it is an eye cream, yet its effects are so amazing, that it can be used over your entire face! NO MORE SPENDING MONEY ON AESTHETIC SHOP! 37 Million units sold all over the world! That’s 1 happy customer every 3 seconds! This AHC top selling high-end K-beauty cream is finally here. 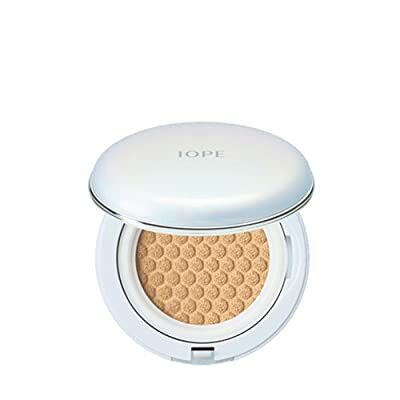 Eye Cream for Face might sound ironic but you know many Korean actresses are known for their ever-young looking face. Their secret is revealed. Many Korean actresses use eye cream for their entire face as eye creams are the most condensed. 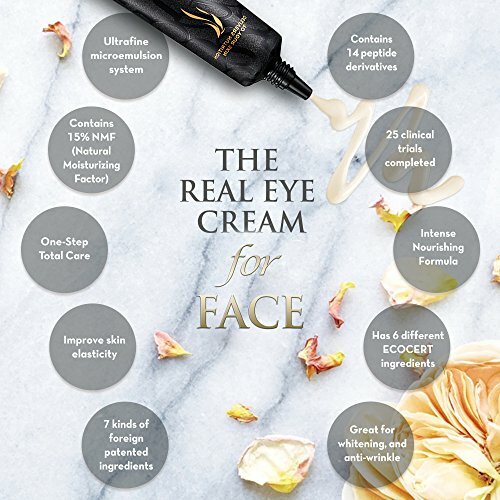 Eye Cream for Face will erase fine lines, wrinkles boosting collagen production and enhance your skin barrier. Made in Korea. FDA Approved. Additional Information [Caution] Stop use if you get skin irritation, rash, and/or redness and consult with your doctor. Do not apply on other parts of the body other than face and near face area. Avoid contact with eyes. In case of contact, rinse the eyes thoroughly with water. Do not apply directly to wounded area or open cut. 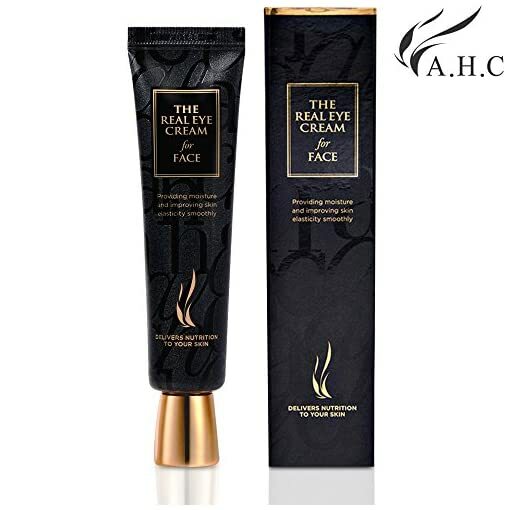 AHC – The Best Korean Anti Wrinkle Cream on the Market! ALL-IN-ONE CARE – Many people have to get separate eye creams, facial serums, moisturizing lotion, anti age retinol, and more. Hold off on purchasing half of Amazon beauty. 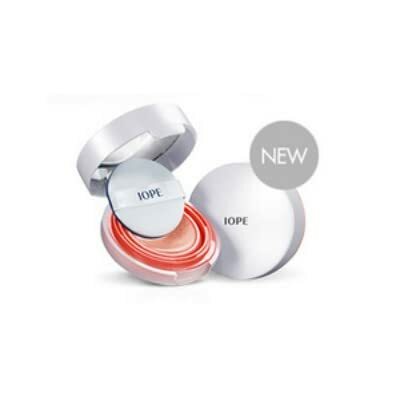 Try on this eye cream first, and youll see why men, women, and teenagers love this product! 37 MILLION UNITS SOLD – We are not just some random internet brand startup. AHC is one of the best and most respected and sold product lines in Korea for skincare, and works great no matter what makeup you use, or if you have sensitive skin.